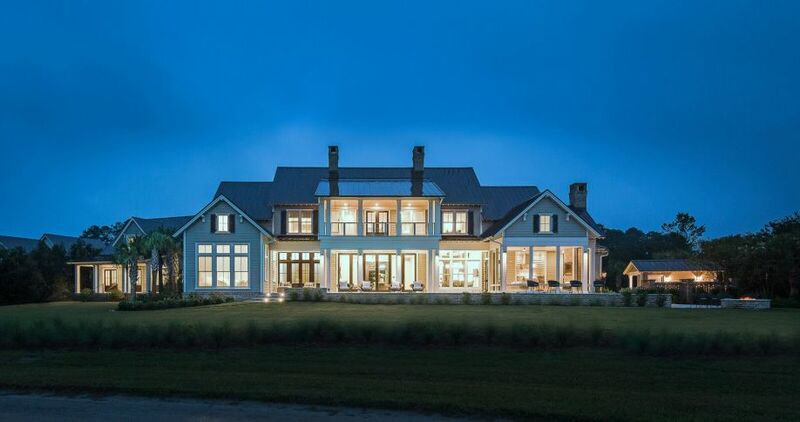 When building their new 9,000-square foot home in Bluffton, South Carolina, the homeowners sought to seamlessly fuse classic country design with innovative modern technology. Particularly, they wanted to incorporate an automated lighting system to enhance both the home’s aesthetic and overall functionality. To achieve their goals, they called on local integration firm Advanced Integrated Controls (AIC) to design and install an ELAN smart home system with integrated Lutron lighting. Hubner and his team installed an ELAN gSC10 controller to control the extensive Lutron lighting system, along with the home’s eight 4K video zones, 12 audio zones and 45 integrated zones of security, fire, and water detection. The integrated Lutron lighting system incorporates 84 centralized and 24 local HomeWorks QS zones, three dedicated landscape zones, and 17 Sivoia shades with custom woven fabrics. AIC integrated the Lutron system into the ELAN system to coordinate several events to happen automatically. For example, each day the outdoor lights react to the sunrise and the sunset on an astronomical time clock. In the evening, lighting gradually powers on with the sunset until the outdoor lighting fully illuminates the dark pathways throughout the property. In the morning, the lights gradually fade in time with the sunrise. Inside, Hubner and his team configured similar events to occur throughout the residence, including in two of the children’s bedrooms. Since the children must wake up by 7:30 AM, the homeowners wanted the lights to gradually increase – as they do outside – to slowly wake them up instead of blasting them with light early in the morning. In addition to the extensive lighting system, AIC outfitted the home with several entertainment features. The team installed an 85” 4K Sony display in the home’s media room, accompanied by twenty 7” Niles in-ceiling speakers paired with two Sunfire HRS10 subwoofers to create a 5.1 surround sound system. Outdoors, AIC installed a 75-inch 4K Sony TV and two 49-inch 4K Sony TVs paired with another in-ceiling sound system – all of which are controlled by ELAN.